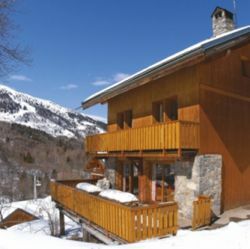 Chalet Cote D’Arlin offers comfortable accommodation with a pine clad living area. The log fire and comfy sofas ensure a fabulous cosy atmosphere to relax in after a day on the slopes. The rooms are made up of twins, double and triple rooms that are all en suite. Most of the bedrooms also have a balcony. Room 1: Double with shower/wc/balcony. Room 2: Twin with bath/wc/balcony. Room 3: Twin with bath/wc/balcony. Room 4: 'L' shaped twin with shower/wc. 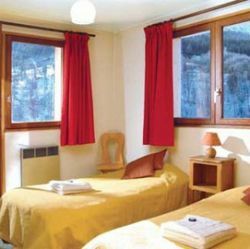 Room 5: Triple (sleeps 2-3) with 3 single beds and balcony. Private bath/wc (not en suite). 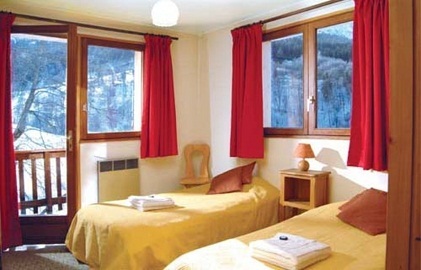 Room 6: Triple (sleeps 2-3) with 3 single beds and balcony. Private bath & separate wc just outside room. 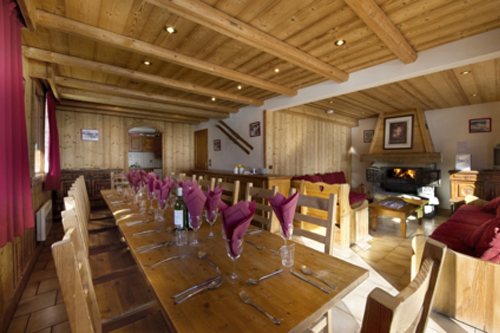 The Chalet Côte d’Arlin has a fabulous location in the Musssillon area of Méribel. 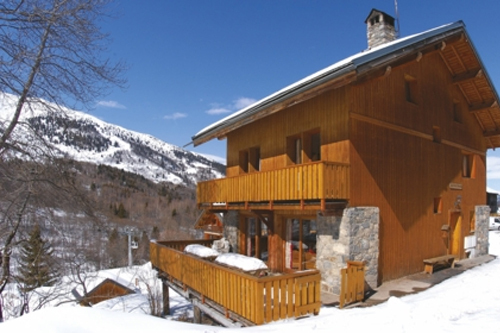 It is about 10-15 minutes’ walk (800m) to the piste that runs down to the main Chaudanne lifts. 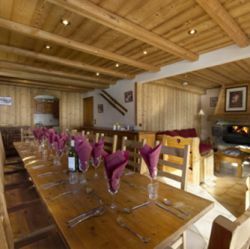 Food is a highlight of any ski holiday, and you chalet hosts will prepare and serve your meals as described here six days per week*. Start the day with a hearty skiers’ breakfast, including a choice of porridge or cereals, tea, coffee, fruit juice, local breads (including croissants and pains au chocolat in France of course! ), plus boiled eggs, a choice of preserves, cheese and cold-cut meats, all normally laid out buffetstyle for you. There will also be a hot ‘dish of the day’ available, such as scrambled eggs or pancakes, freshly cooked to order. Our 4 course dinner menus start with canapés and an apéritif, followed by a starter, main course and dessert, accompanied by a choice of complimentary wines, with coffee or tea and chocolates to follow. The wines for our chalets are chosen in conjunction with our good friends and established wine experts, Nicolas and Véronique Perret, who have helped us select two contrasting whites and two choice reds for you to enjoy, unlimited, throughout dinner each evening.